TEREX HML32 Excavator Undercarriage delivers outstanding performance in any excavator application. W..
TEREX HML42 Excavator Undercarriage excels in all applications and all conditions: standard or heavy..
TEREX HR1.5 Excavator Undercarriage must be extremely durable and it is very important to keep the u..
TEREX HR1.6 Excavator Undercarriage delivers outstanding performance in any excavator application. W..
TEREX HR11 Excavator Undercarriage excels in all applications and all conditions: standard or heavy-..
TEREX HR12 Excavator Undercarriage must be extremely durable and it is very important to keep the un..
TEREX HR13 Excavator Undercarriage delivers outstanding performance in any excavator application. We..
TEREX HR14 Excavator Undercarriage excels in all applications and all conditions: standard or heavy-..
TEREX HR16 Excavator Undercarriage must be extremely durable and it is very important to keep the un..
TEREX HR16E Excavator Undercarriage delivers outstanding performance in any excavator application. W..
TEREX HR18 Excavator Undercarriage excels in all applications and all conditions: standard or heavy-..
TEREX HR2.0 Excavator Undercarriage must be extremely durable and it is very important to keep the u..
TEREX HR20 Excavator Undercarriage delivers outstanding performance in any excavator application. 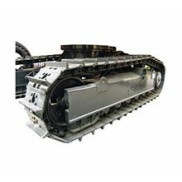 We..
TEREX HR3.7 Excavator Undercarriage excels in all applications and all conditions: standard or heavy..
TEREX HR32 Excavator Undercarriage must be extremely durable and it is very important to keep the un..